Using these step-by-step directions, discover how easy it is to create amazing paper mache works of art. Start by deciding what you want to make. 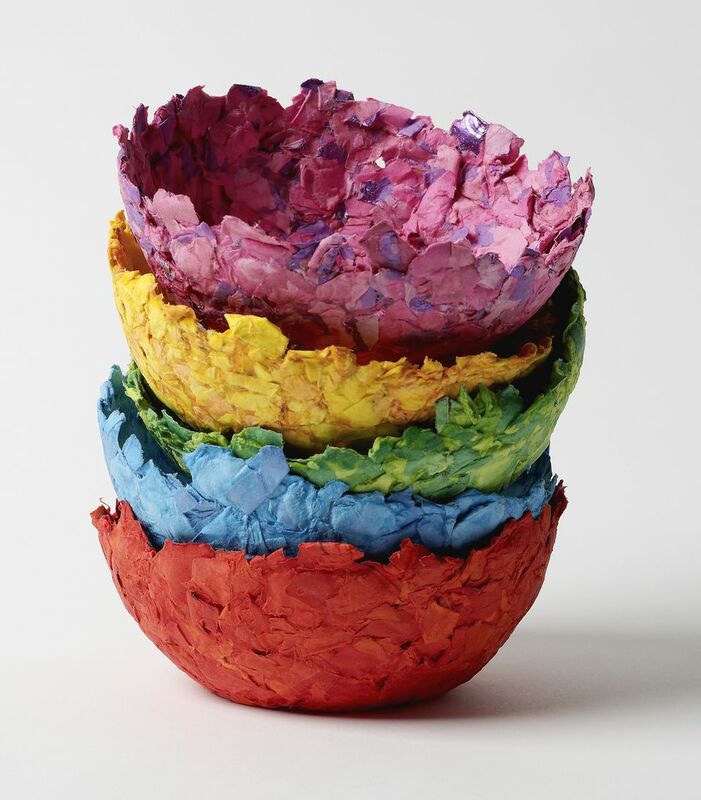 The possibilities are almost limitless with paper mache. One of the most popular items to make is a pinata. When you know what you want to make, then create the base or form for your project. Once your base is ready, you should prepare your paste. Browse through this collection of paper mache paste options and choose the one that works best for your project. When your base and glue is ready, you will need to tear newspaper into strips. The length of your strips may vary depending on the size of your project; however, you will want your strips to be about 1- to 2-inches wide. Dip one piece of newspaper at a time into the paper mache paste. You want the newspaper strip to be saturated. Hold the saturated strip over the paste bowl and run it through your fingers to squeeze off any excess paste. Stick the newspaper strip over your form and smooth it down with your fingers. Completely cover your form with a layer of the saturated newspaper strips. They should all be over-lapping and running in different directions. After one layer is applied, let it dry completely. This can take up to 24 hours. Once the first layer is dry, apply a second layer of newspaper strips and let it dry completely. Repeat this process until you get the desired look, but you should have at least three layers of newspaper strips. Again, let each layer dry completely. If you want to add smaller details to your project, you can use a pulp recipe. This pulp can be used like clay. Once all of the paper mache layers are applied and dried, you are ready to paint, decorate, and proudly display your work of art. Tear the newspaper into strips—do not cut it. Torn strips lay smoother. Be generous when dipping the newspaper strips into the paste—you want each piece thoroughly saturated. Let each layer dry completely before adding another.